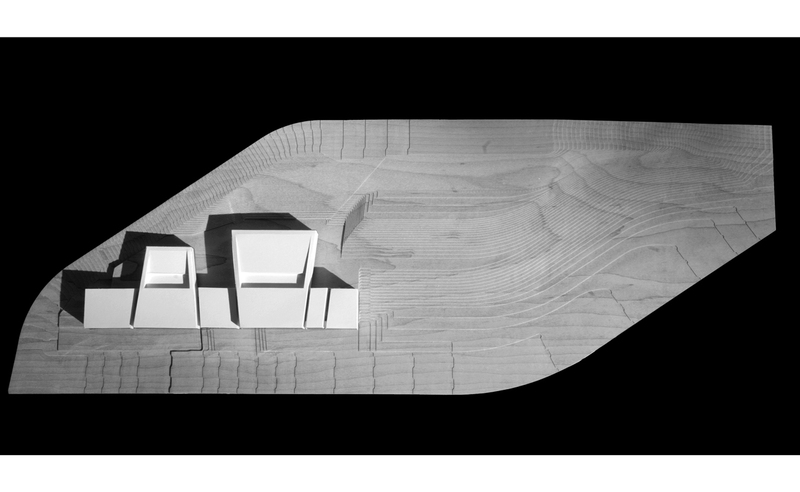 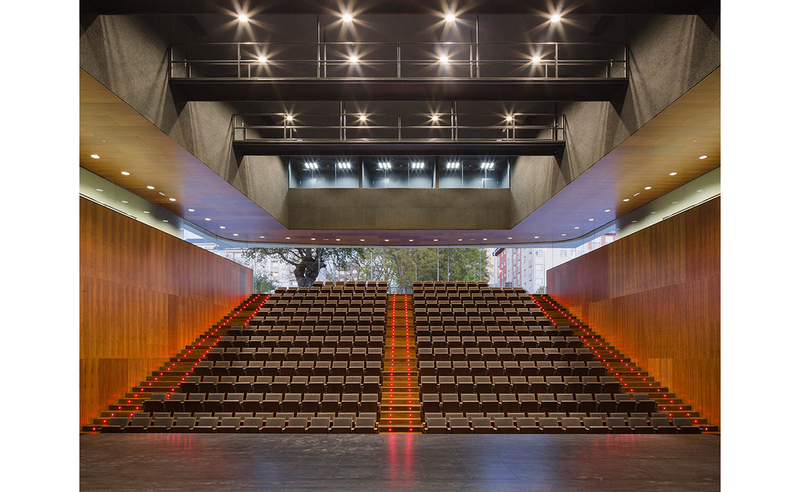 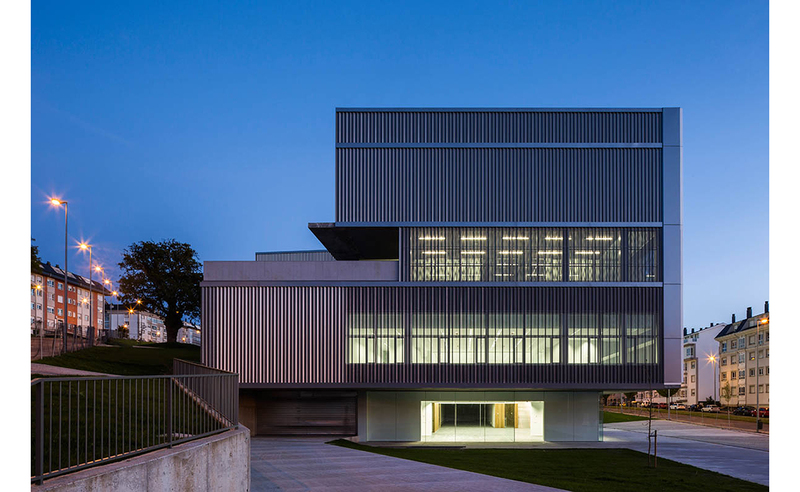 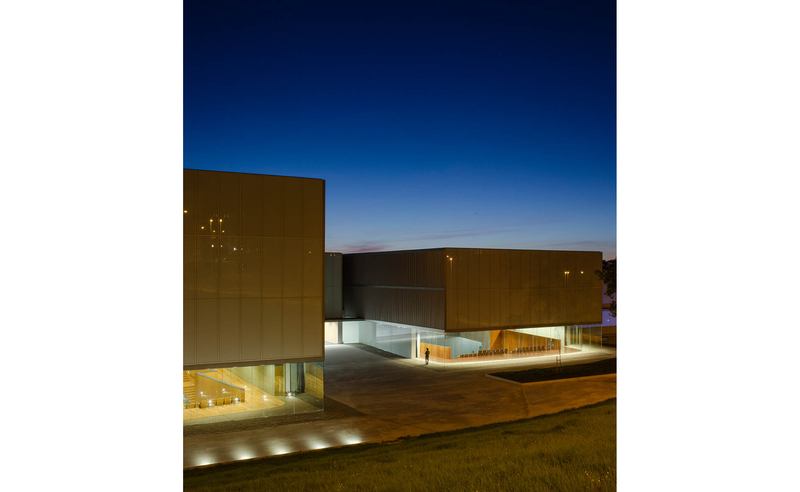 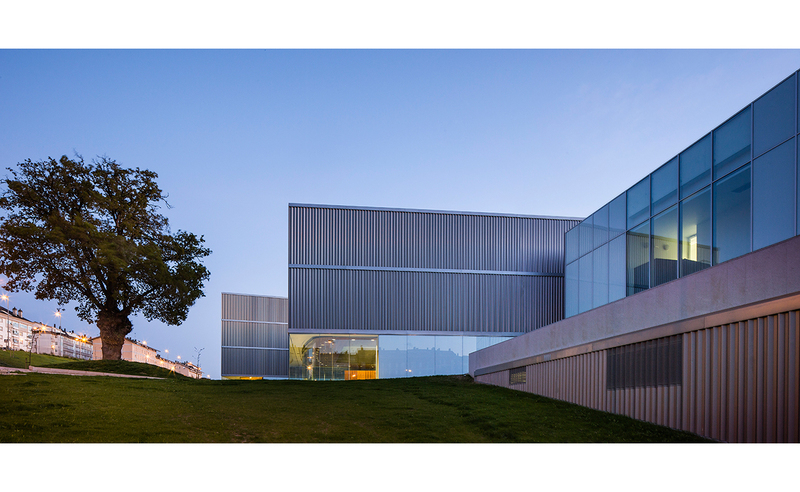 The Auditorium, has a strong link to the topography and involves rearranging the relationships between the open spaces of the slope and the city. 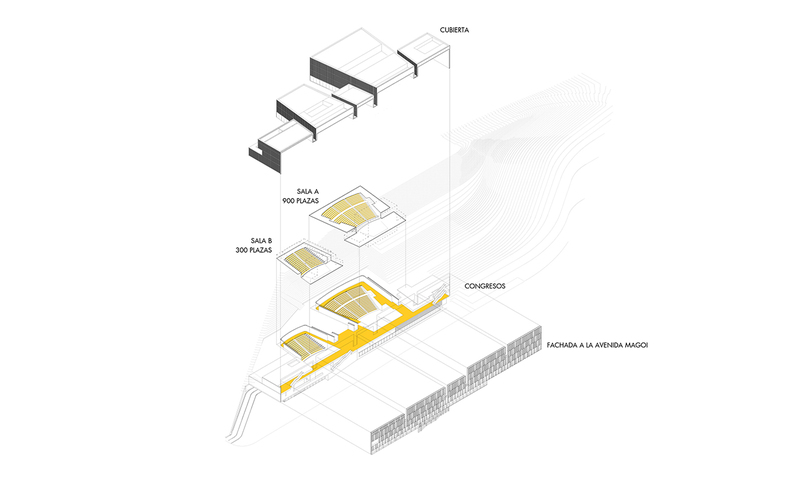 The building is organized between two levels: a lower one related to the city and to the avenue and an upper level related to the existing gardens where the entrance to the music halls is placed. 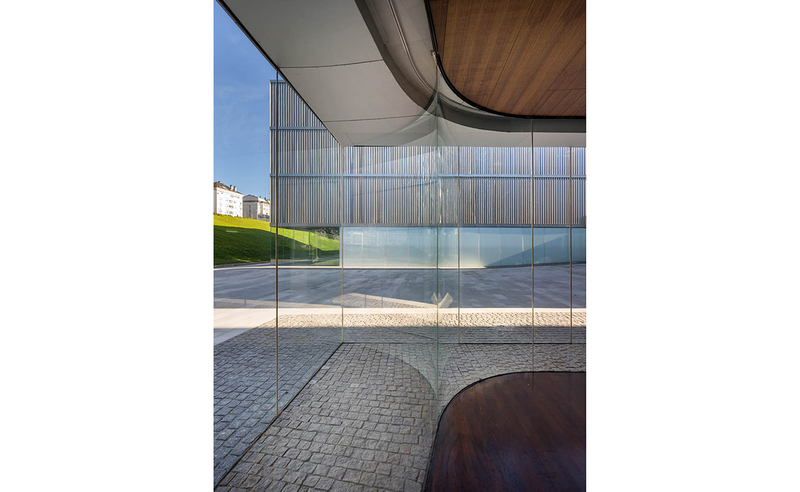 Parallel to the avenue a transparent façade builds up the Auditorium’s representative image towards the city. 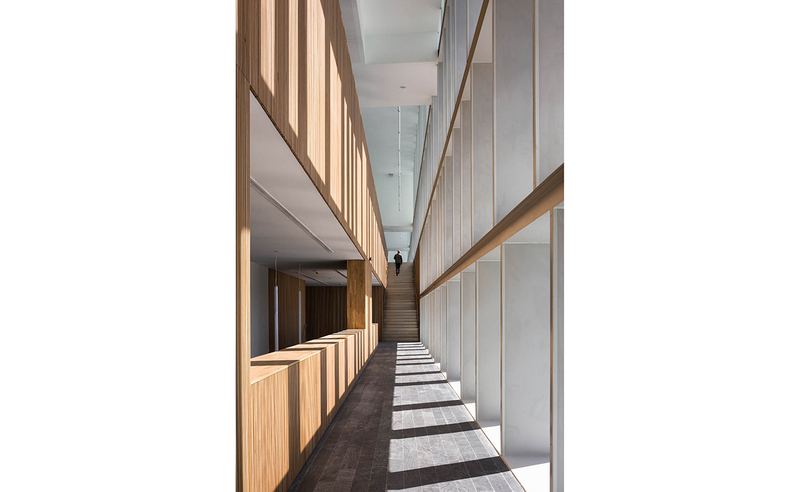 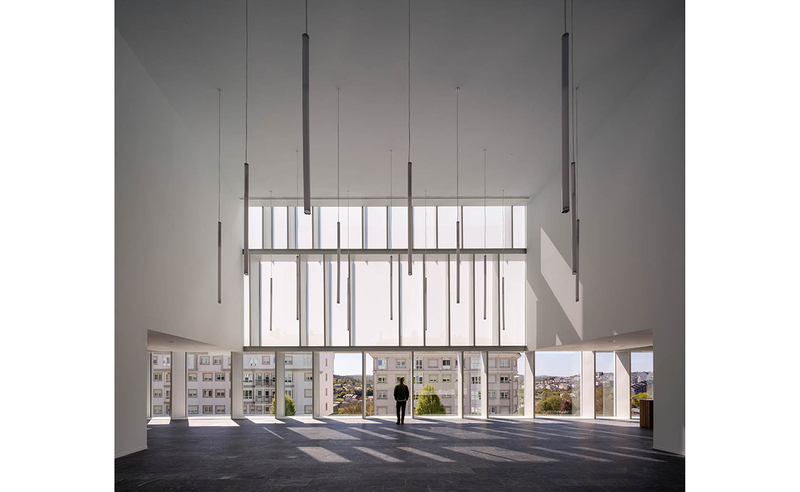 A long and irregular shaped volume hosts the programme where public areas link a series of different spaces connected by a large continuous lobby. 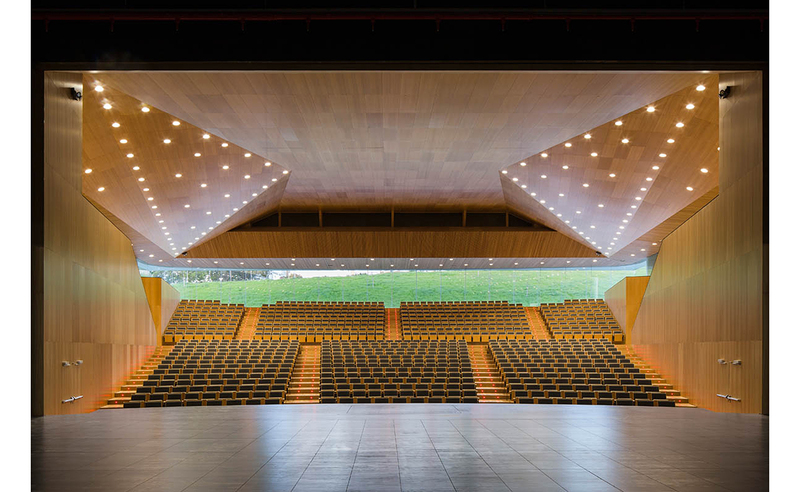 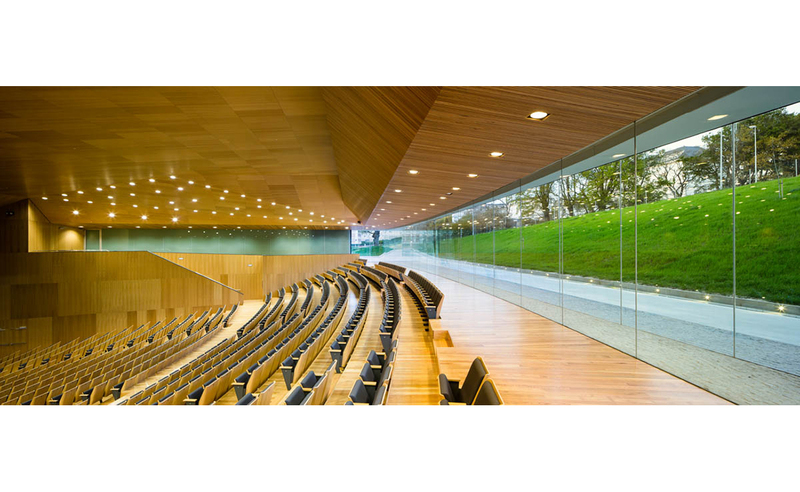 The music halls, for 900 and 300 seats are designed also for theatre and both are placed over the slope overlooking the garden with natural light and views towards the green area. 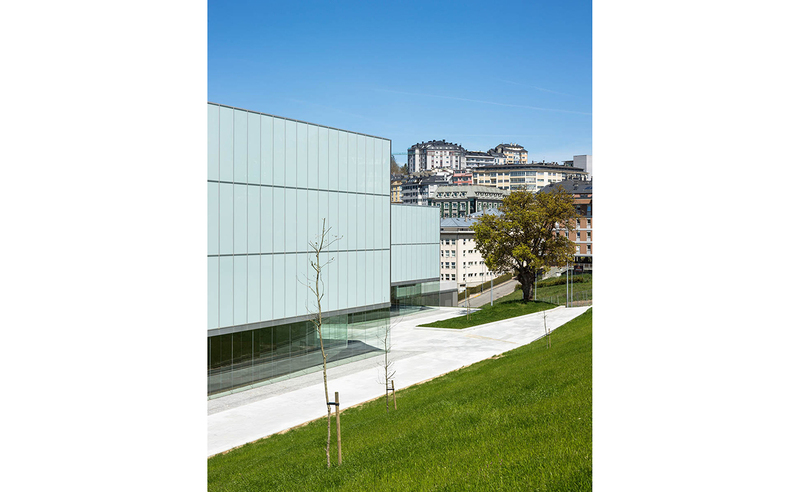 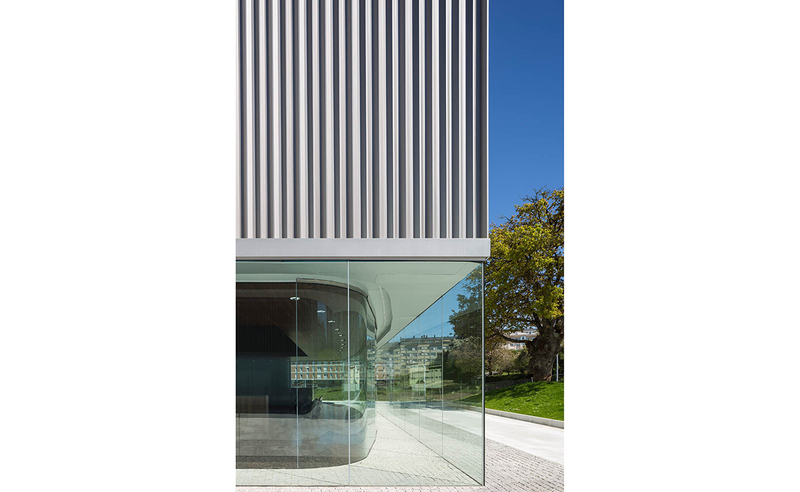 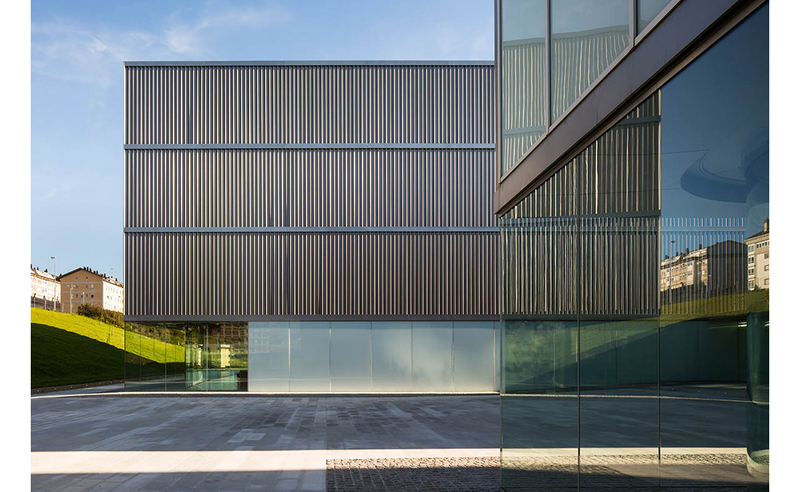 The building has a double image, a fragmented small-scale image towards the garden and a continuous glass curtain wall with different transparencies and heights towards the city, conceived as a large vernacular gallery. 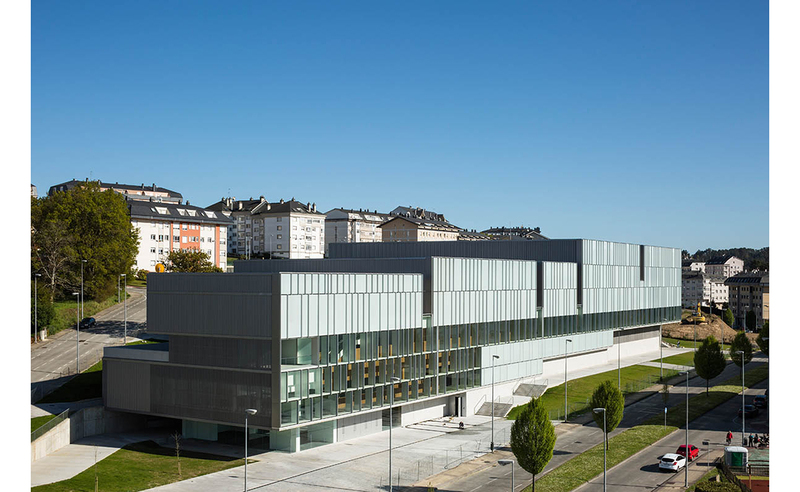 Contractor: UTE FCC Construcción S.A. Vilamiño S.A.